Robert Hale Jr. and his wife, Karen, will donate $50 million for Children’s and $50 million for Brigham and Women’s Hospital. 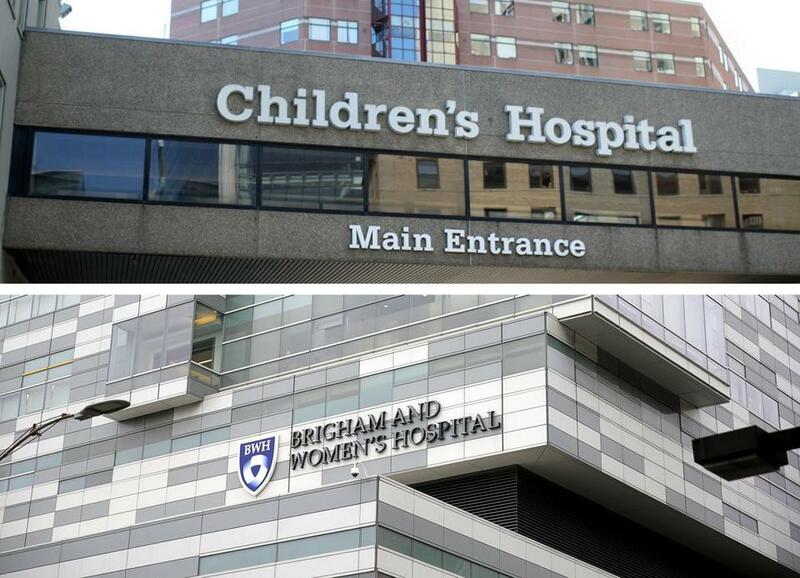 The donation is the largest single gift ever for Brigham, and it ties for the largest gift for Children’s. Both hospitals will name buildings after the Hale family. The Hales are well-known in philanthropic circles, but the combined gifts, which are being announced Monday, are also their largest. Robert Hale Jr., the chief executive of Quincy-based Granite Telecommunications. Brigham officials said they haven’t decided how to use the Hales’ unrestricted gift, but they plan to name their newest building after the Hales. The $475 million facility, which includes medical clinics and research labs, opened in 2016. In 2009, Massachusetts General Hospital used its largest gift ever — $100 million from tech magnate Phillip T. Ragon — to join forces with the Massachusetts Institute of Technology and Harvard University to accelerate research toward an AIDS vaccine. The Hales have connections to both Children’s and Brigham. Robert Hale said he was grateful for the care his father received at Brigham after a heart attack some 20 years ago. The elder Robert Hale died in 2008 after being treated for pancreatic cancer at Brigham and Dana-Farber Cancer Institute. The younger Hale, 51, also has been moved by what he has seen at Children’s Hospital. On tours of the hospital, he became teary-eyed in the newborn intensive care unit. That baby girl he saw more than a decade ago — who was small enough to fit in an adult hand — eventually grew healthy enough to go home, he said. “When you go to Children’s and see the kids they help, it’s very emotional. It makes you want to help,” he said. Hale said he and his wife discussed the idea over a couple of months, then reached out to the hospital chiefs. The Hales have been involved with both hospitals for several years, including helping to organize fund-raisers and cooking spaghetti dinners for some patient families. They have donated to several institutions in the past, including about $25 million to Connecticut College and $30 million to Deerfield Academy (Robert Hale’s alma maters), and $30 million (with Hale’s mother) to Dana-Farber. Hale, a father of three who lives in Hingham, said he feels a responsibility to share his wealth. “We are very, very fortunate, and we know it,” he said. 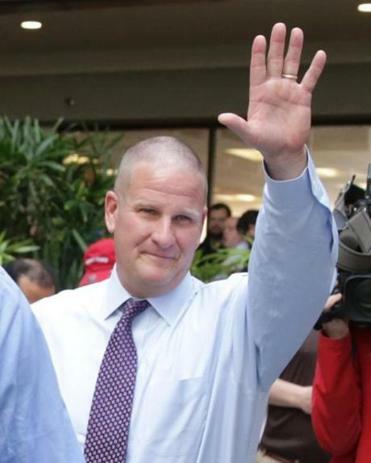 His Dana-Farber fund-raisers have drawn high-profile guests like Governor Charlie Baker, who joins Hale annually to shave his head in support of cancer research. Hale’s company, which he founded with his father in 2002, has prospered in a rare niche: packaging phone and other communication services for multistate giants such as Walmart and Costco. Granite’s success came after a failure: The Hales previously ran another telecommunications company, Network Plus, that went bankrupt. Granite employs about 2,000 people and collects annual revenue of more than $1.3 billion.